Todd Douglas Miller's cinematic space event documentary, "Apollo 11," features never-before-seen, large-format film footage of one of humanity's greatest accomplishments. A new cinematic space event film promises to show audiences the historic Apollo 11 first moon landing mission like they have never seen before. "Apollo 11," from director Todd Douglas Miller, will feature never-before-seen large-format film footage of the 1969 mission that landed astronauts Neil Armstrong and Buzz Aldrin on the surface of the moon. The feature-length documentary is executive produced by CNN Films and produced by Miller's Statement Pictures. A 30-second teaser for "Apollo 11" released today (July 20), 49 years to the day after the first moon landing, shows archival, wide-format footage of the rollout of Apollo 11's Saturn V rocket and scenes of Armstrong, Aldrin and Michael Collins being suited up for the mission. The visuals are matched to the final moments of NASA's commentary counting down to the Apollo 11 launch. The clip ends with the ignition of the massive booster, cutting off just before liftoff. A release date for "Apollo 11" has not yet been announced. Miller's previous credits include the Emmy Award-winning documentary "Dinosaur 13," about the discovery of the largest Tyrannosaurus rex fossil ever found. Miller also directed the 2016 short film "The Last Steps," produced by CNN Films and Great Big Story, about the final Apollo mission to land humans on the moon. The cinema-direct "Last Steps" used only archival footage, photography and audio to recreate the journey of the Apollo 17 crew, Eugene Cernan, Harrison Schmitt and Ron Evans, in December 1972. Apollo 11, the mission, will mark its 50th anniversary from July 16 through July 24, 2019. The film, "Apollo 11," bills itself as "50 years in the making." 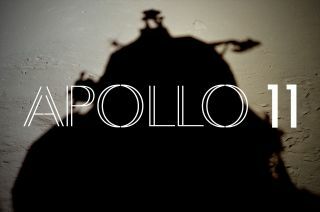 See the 30-second teaser for Todd Douglas Miller's "Apollo 11" at collectSPACE.